Financial Spreads has reduced the spreads on 30 forex markets. Financial Spreads does not charge any commissions or broker's fees, instead charges are built into the 'spread', i.e. the difference between the sell price and the buy price. The wider the spread, the more it costs an investor to trade. According to FinancialSpreads spokesman, Adam Jepsen, the new pricing will complement the existing service. "We already have a highly competitive forex service and offer one point spreads on very popular forex markets like EUR/USD and EUR/GBP. Naturally we also offer live, professional level charts for all our markets. "Not only that, but clients can take advantage of our tight spreads throughout the day and night. Our forex markets are available on FinancialSpreads.com 24 hours a day from Sunday evening to Friday evening and the spreads are fixed. That is to say, the spreads do not change or get wider during normal market conditions, nor do they get wider during out of hours trading. Please note however, that spreads may vary in extreme market conditions." 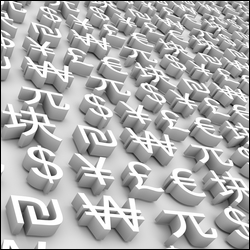 Financial spread betting and CFD trading carry a high level of risk. Before trading with these products, investors should ensure financial spread betting and CFD trading meet their investment objectives and seek independent advice if necessary. In addition to forex markets, Financial Spreads offers both CFDs and financial spread betting on stock market indices, commodities, shares and treasuries. 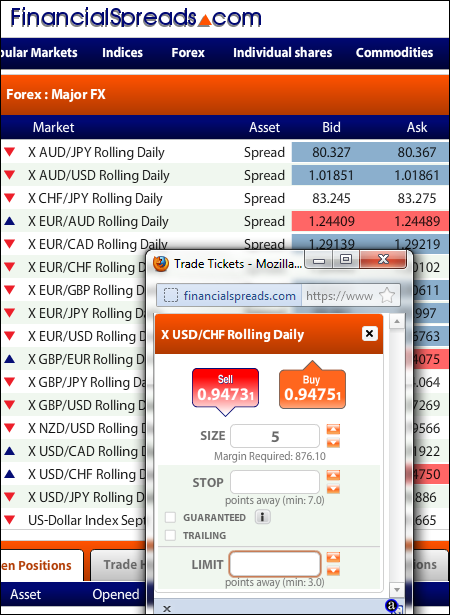 Clients can trade over the phone and via www.FinancialSpreads.com. With both spread betting and CFDs, investors can speculate on markets to go up or down. Financial Spreads is a trading name of London Capital Group Ltd (LCG) which is authorised and regulated by the Financial Conduct Authority. LCG is a company registered in England and Wales under registered number: 3218125. Registered address, 2nd Floor, 6 Devonshire Square, London, EC2M 2AB.